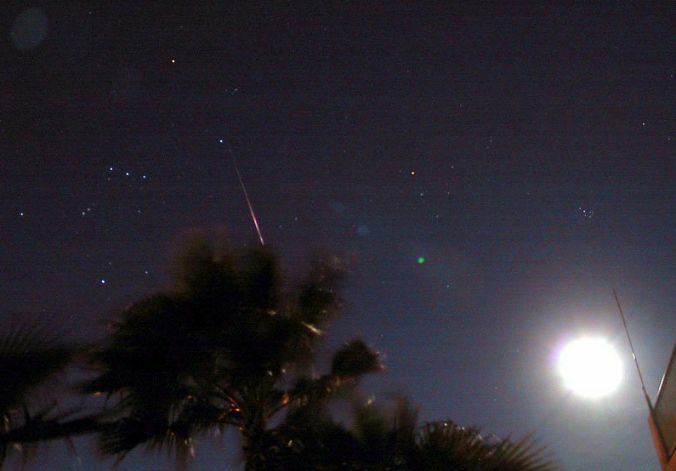 Explanation: Beautiful and bright, the 2002 Leonid meteors battled against glaring moonlight. 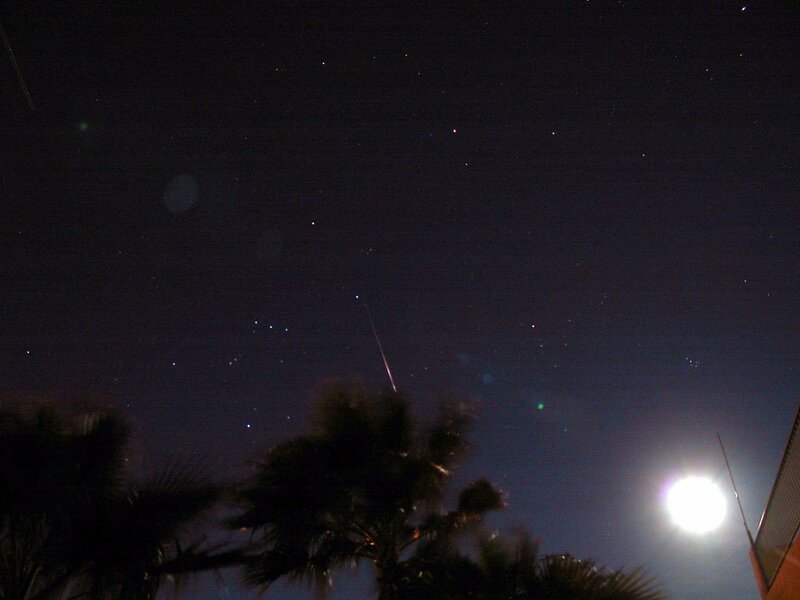 This winning example, from Tuesday morning skies above Laughlin, Nevada, USA, finds an undaunted Leonid streaking between the familiar constellation of Orion (left) and an overexposed full Moon. As anticipated, the Leonid shower packed a double punch on November 19 with planet Earth plunging through two dense clouds of meteroids, dusty debris left by the passage of comet Tempel-Tuttle. Some European observers reported 10 or so meteors a minute during the first peak near 4:00 Universal Time while North American skygazers witnessed slightly lower rates near the second peak around 10:30 UT. Overall, observed rates were much lower than last year's Leonid meteor storm, but for many the sky was still filled with a rewarding spectacle of bright meteors. And that performance may be a fond farewell for years to come. The annual Leonid meteor shower will not likely approach even these rates again until the end of this century.